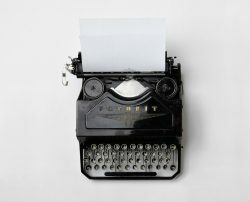 It’s National Poetry Day on the 24th of August, and we’ll be staging a very special celebration featuring some of our finest poets reading from their works. Come along to hear poets from Mākaro Press, Fitzbeck Books and The Cuba Press bewitch, berate, busk and bewilder! Mary Cresswell, Nicola Easthope, Jamie Trower, Janis Freegard, Tim Jones, John Boyd, Rob King, Richard Langston, Mary Mccallum, Anne Powell, John Howell, Peter Rawnsley, and Stefanie Lash. To build up to this wonderful celebration of poetry we are going to feature a short poem from a few of the poets reading. 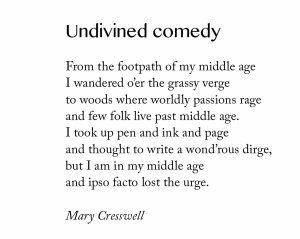 Today’s wonderful poet is Mary Cresswell — enjoy!